On Saturday 28 September the Rail Transport Museum brought a diesel hauled tourist train to the village of Robertson. Unfortunately a “High Fire Danger Day” meant steam engine was prohibited from making the trip.The train traveled to Robertson via Bowral and stood at the station between 12.50pm and 3.00pm. There were lots of attractions for young and old on the day – A gourmet coffee van on site; Hot food stalls cakes and ice-creams; Railway photo display in Fettlers Shed Gallery and history display in the station building; Vintage farm machinery display of working machines from Berrima District group; Ride on miniature steam train hauled by a replica of a main line steam locomotive; Working model steam train set up inside the marquee; Market stalls, displays and information stands; Waratah plants, flowers and seeds for sale. Photo: Gareth Ward, Berrima District Vintage Car Club Member, Anne Wilson, Berrima District Vintage Car Club Member, Steve Carey (RHRS Le Presidente). 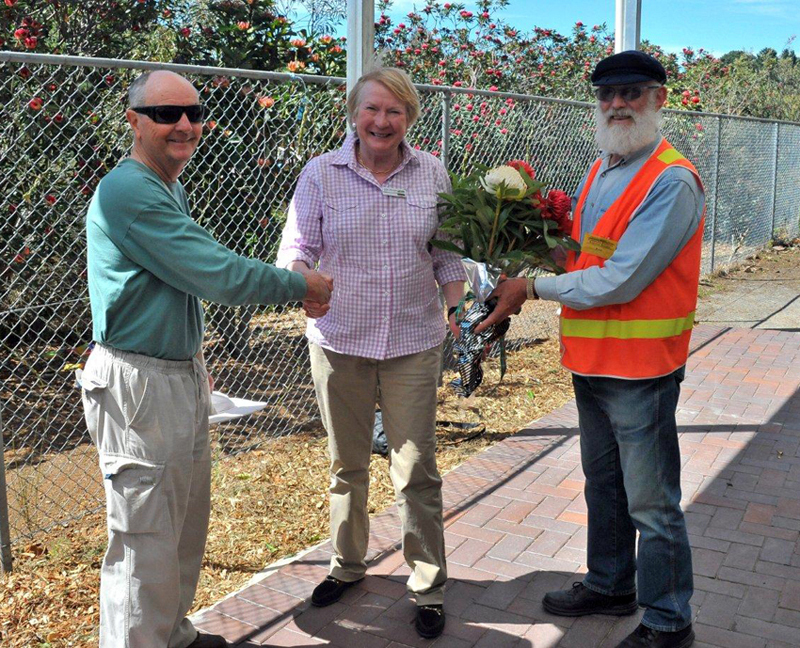 Local Wingecarribee Shire Council Mayor Juliet Arkwright is presented with a bunch of beautiful waraths in appreciation of the Local Councils support for the Robertson Heritage Railway Station Inc Committee’s work. 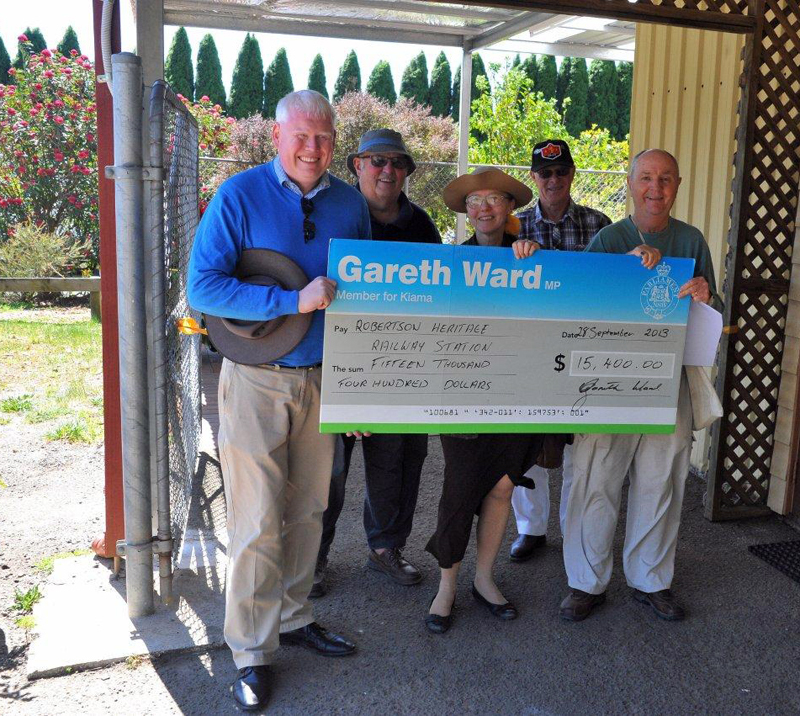 Photo: Steve Carey (RHRS Le Presidente), Mayor Juliet Arkwright Wingecarribee Shire Council; Ron Middleton RHRS Inc Committee Member.